This event is a 2 mile run, 12 mile bicycle ride, and a 2 mile run (or walk). Volunteers can also sign up. Hotel Hot Springs is the headquarters hotel. We will plan a ride to Hot Springs that Saturday and return Monday. The event is Sunday. 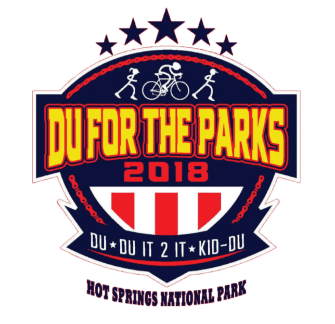 This supports Hot Springs parks. Hotel Hot Springs: Call Ms. Barrie Kiger Nay for special Du rates, 501-623-6600 x 255. I suggest mailing in the form. The on-line ver. is flawed and makes you buy a USAT membership.